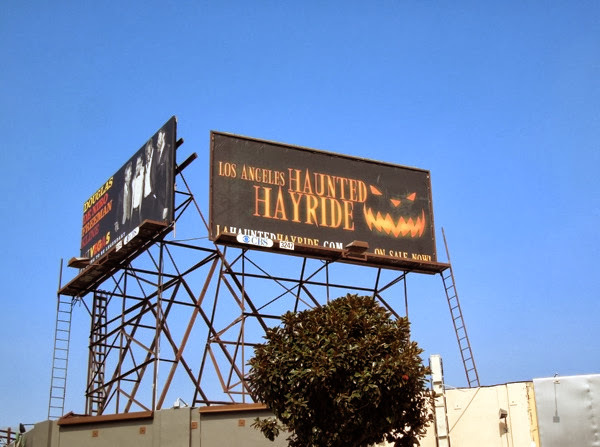 Happy Halloween to all you lovers of this spooky, mysterious, supernatural and fun time of year. 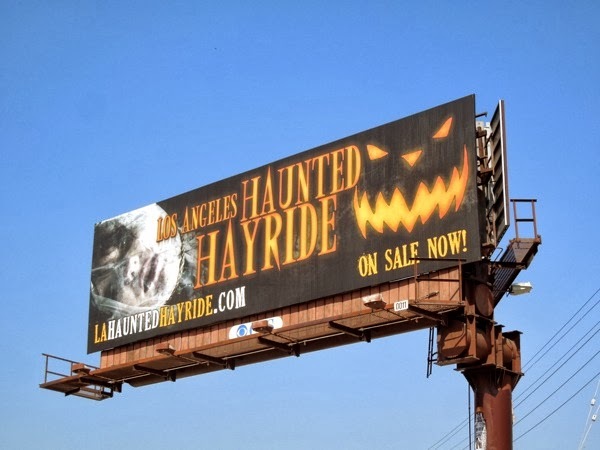 Here's a suitably sinister and macabre ad creative for L.A.'s Haunted Hayride to get you trick-or-treaters in the festive spirit. 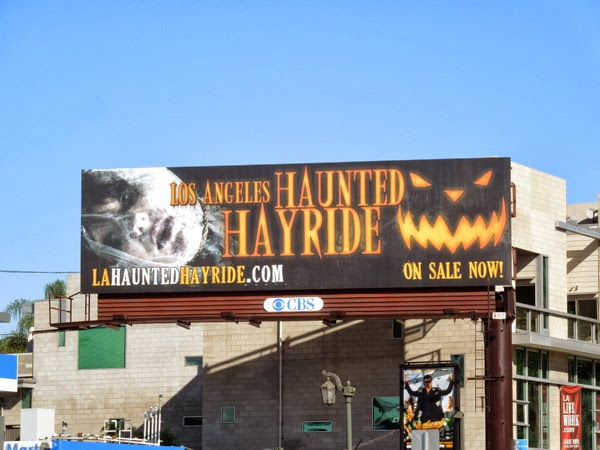 Nothing says Halloween like a creepy carved Jack O'Lantern and a decapitated head suffocated in a bag to satisfy you horror fans, so job well done. 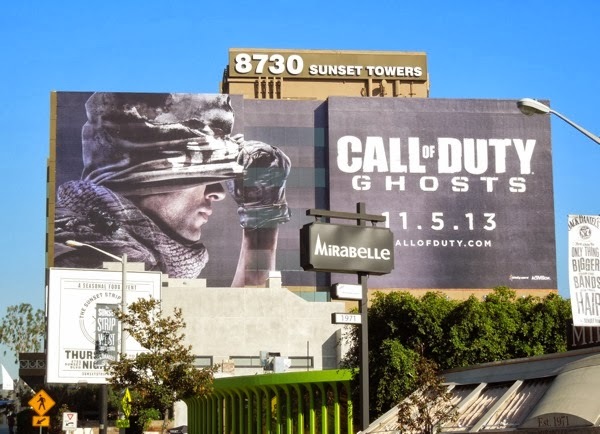 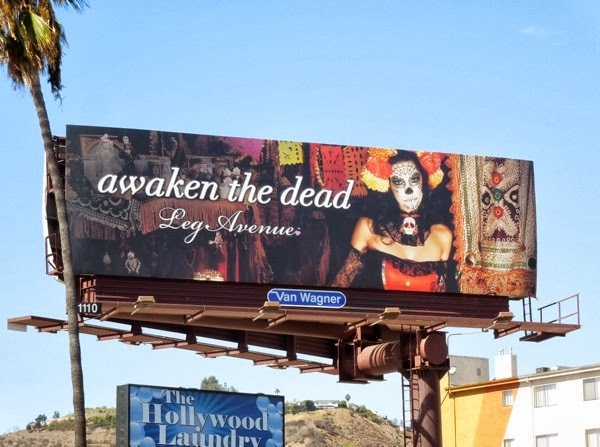 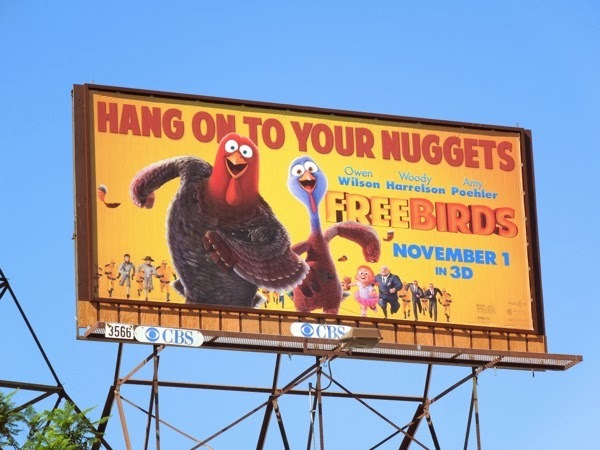 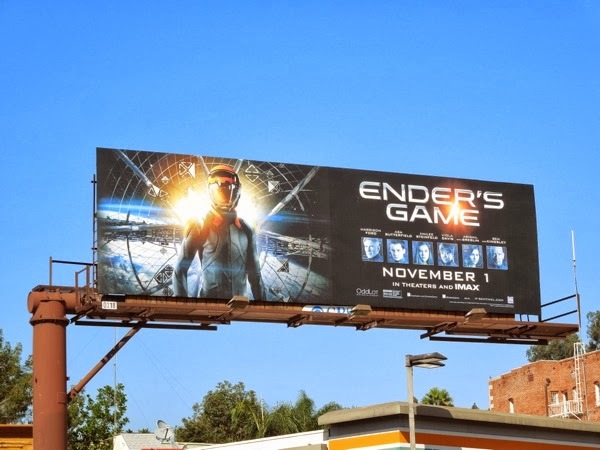 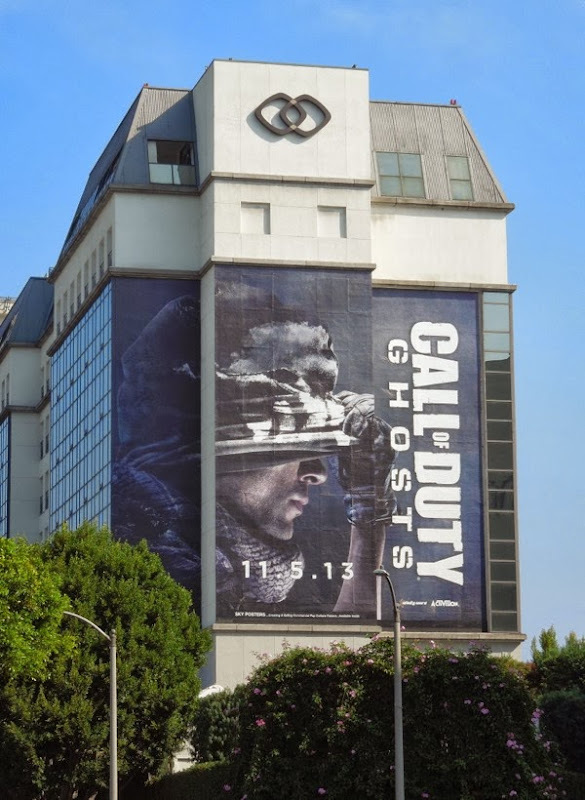 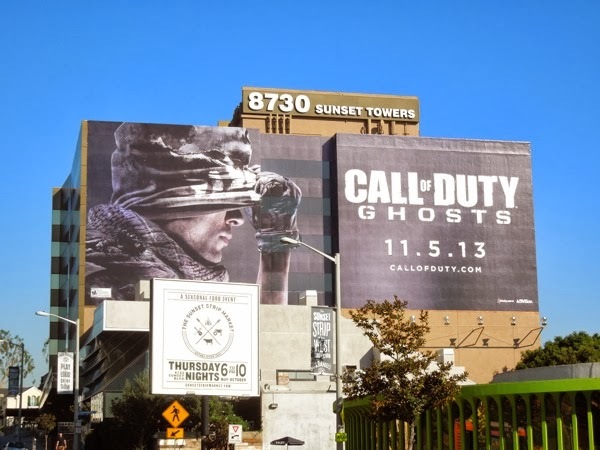 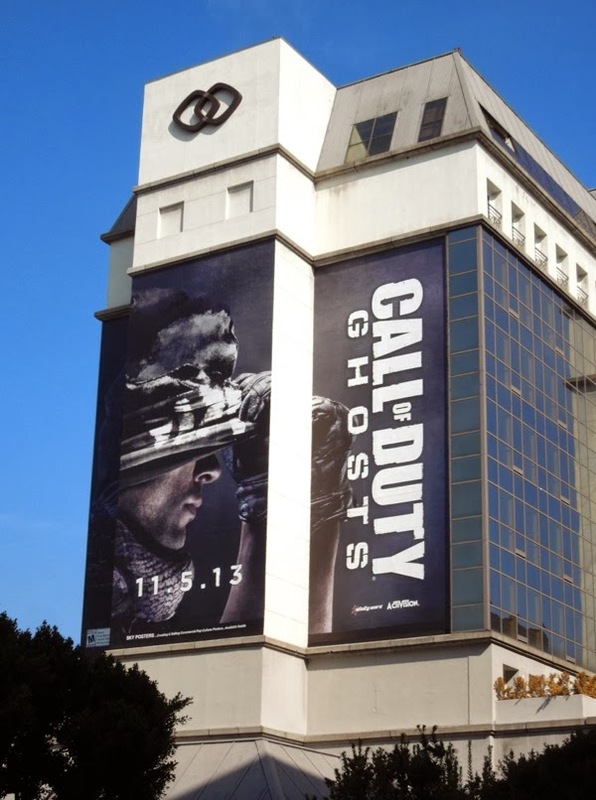 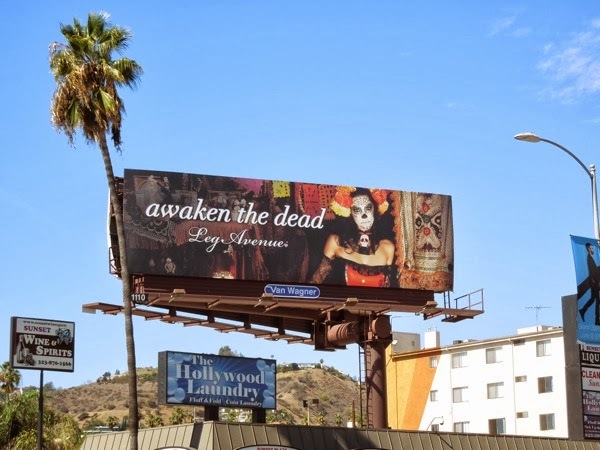 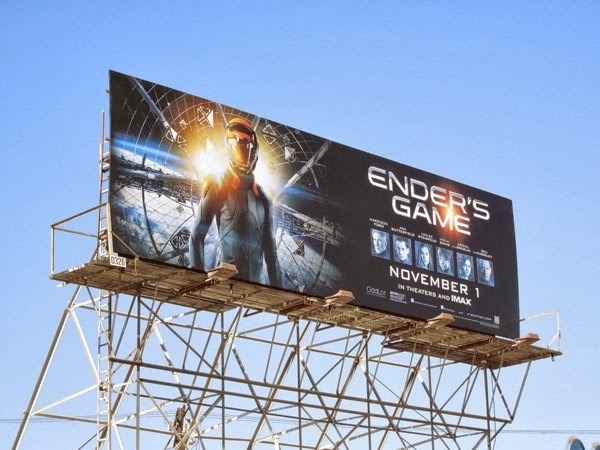 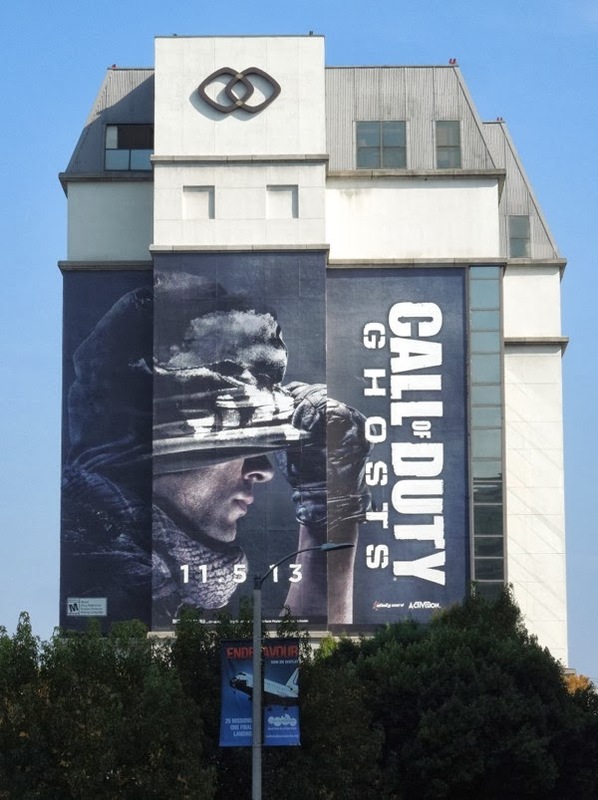 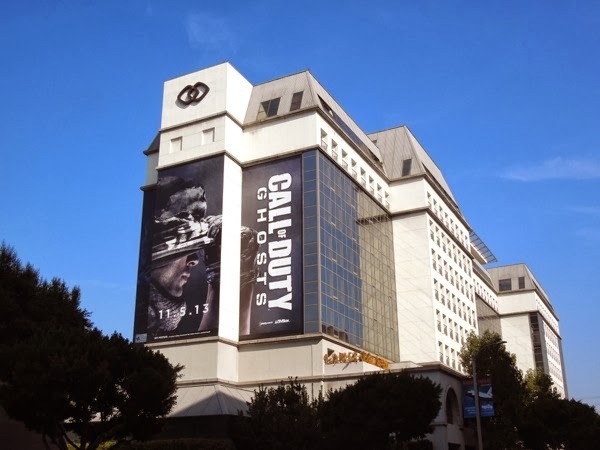 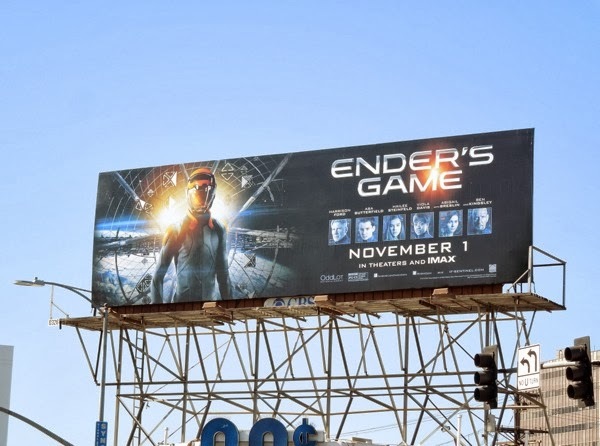 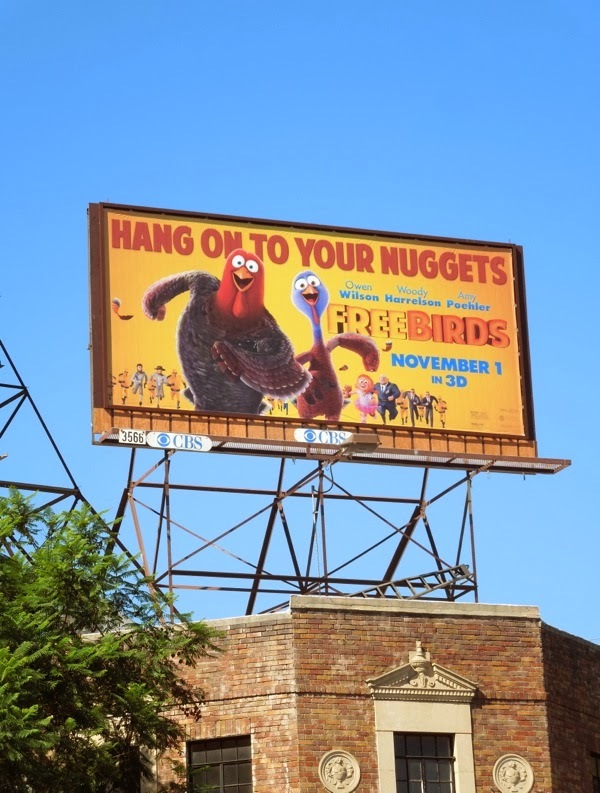 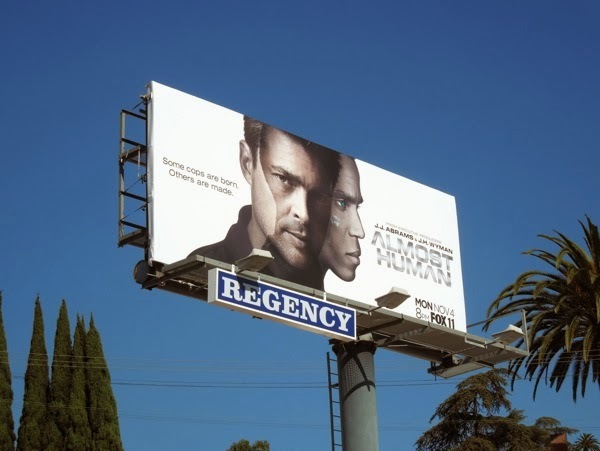 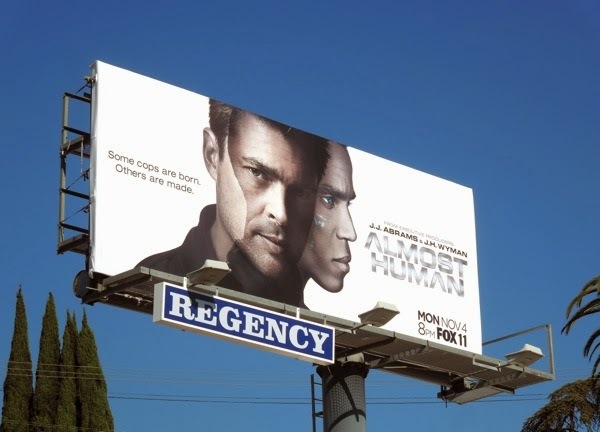 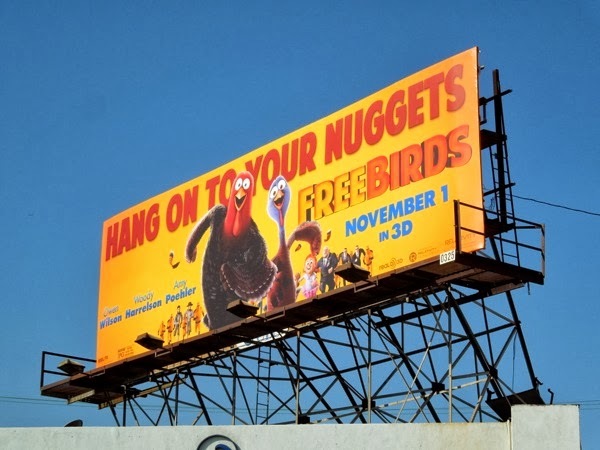 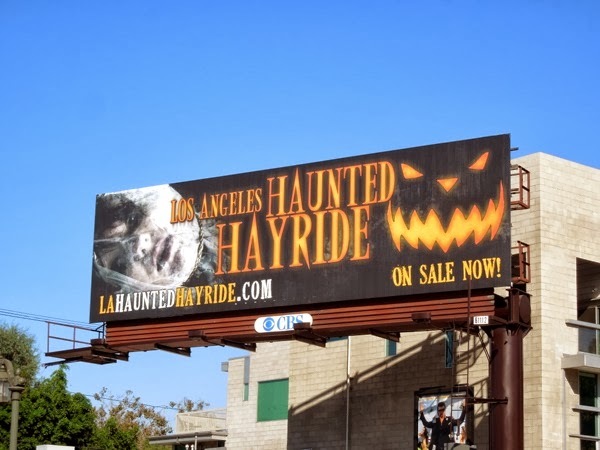 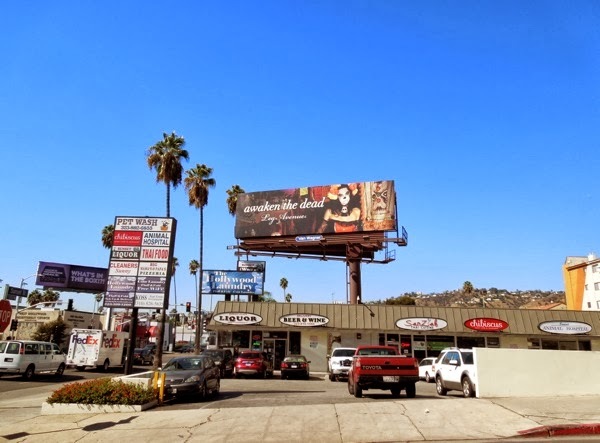 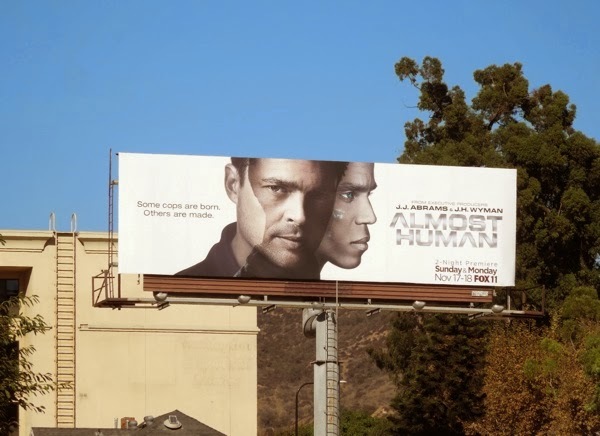 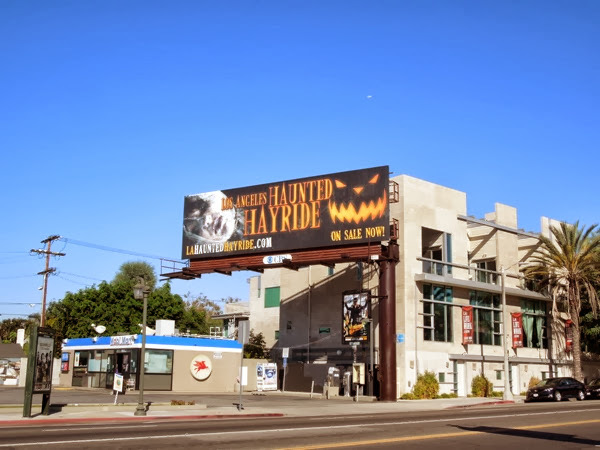 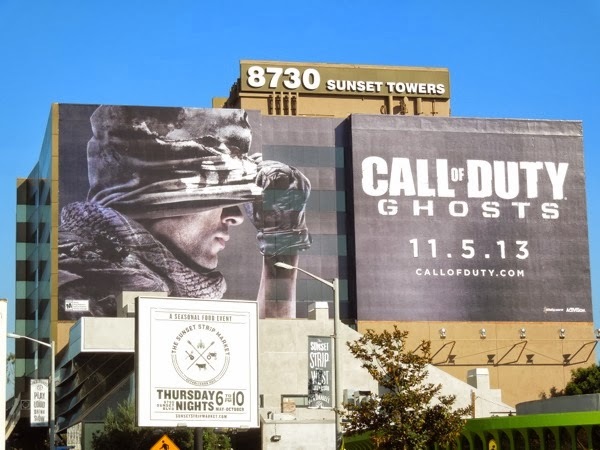 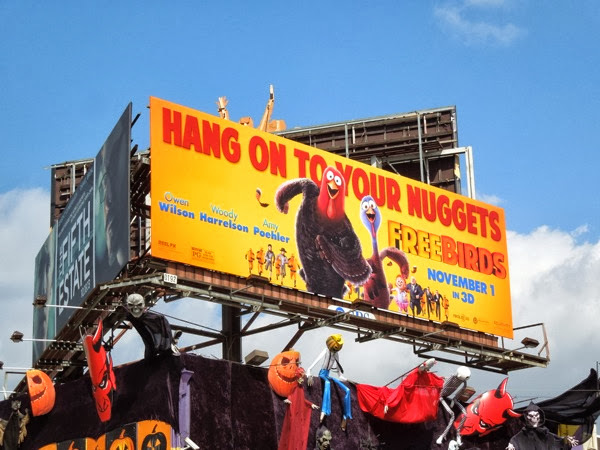 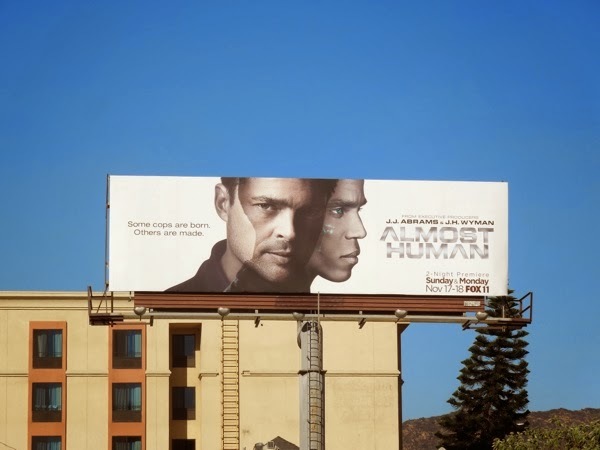 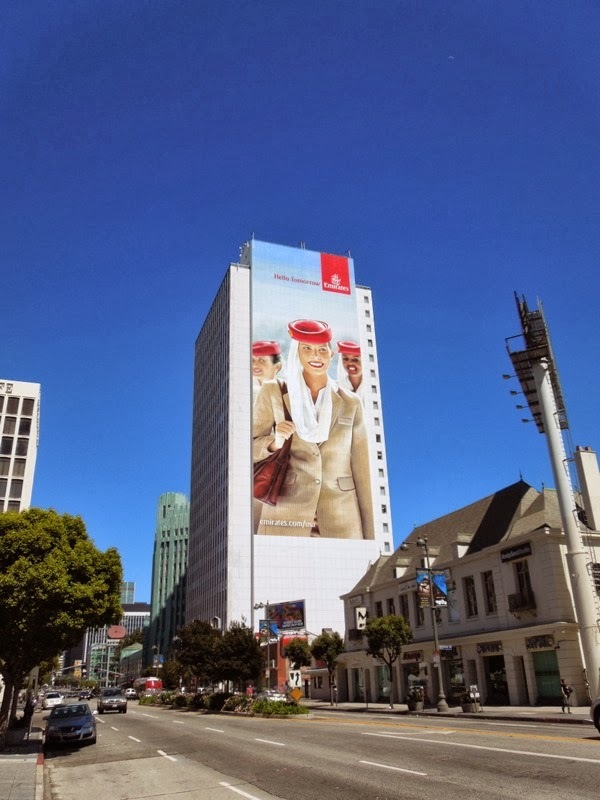 These Haunted Hayride billboards were spied lining the streets of the City of Angels from October 1, 2013, through the rest of the month. 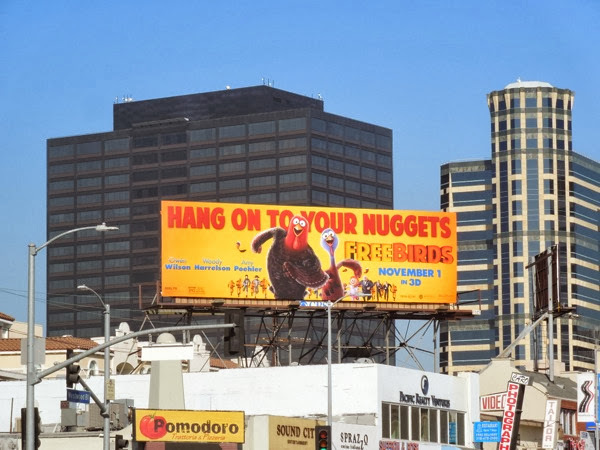 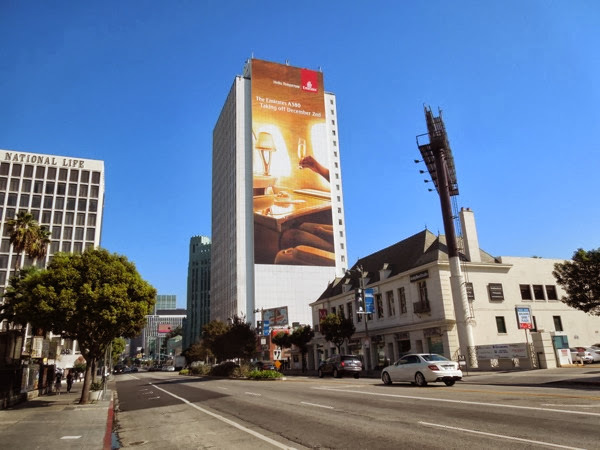 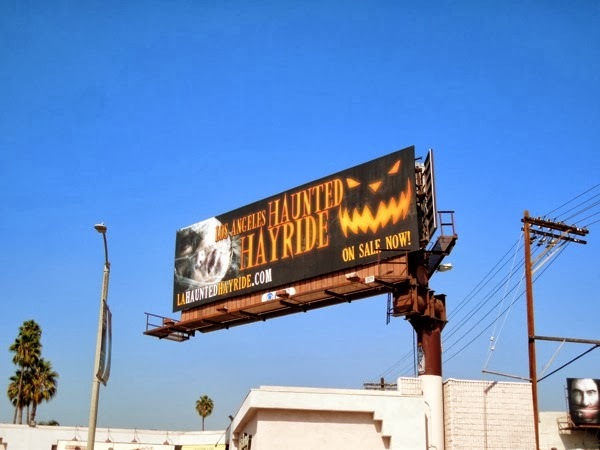 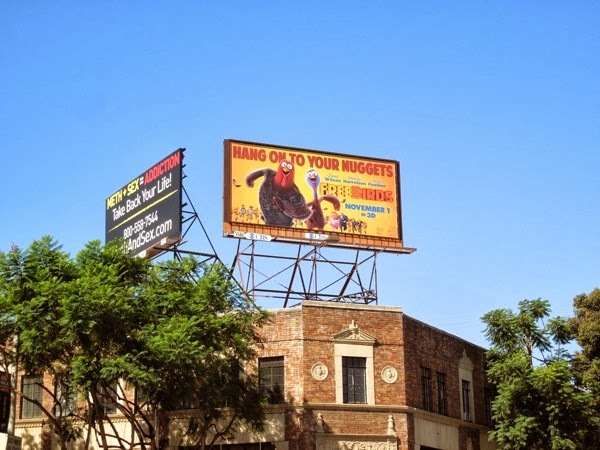 If you like this spooky ad creative, be sure to check out the Los Angeles Haunted Hayride billboard from 2011 and the Haunted Hayride ad from last year. 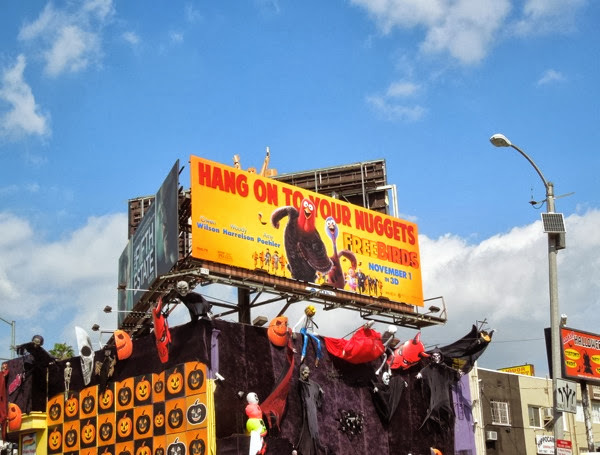 Plus if you're still looking for carved pumpkin inspiration for today's frightful festivities, be sure to check out these spooktacular ideas. 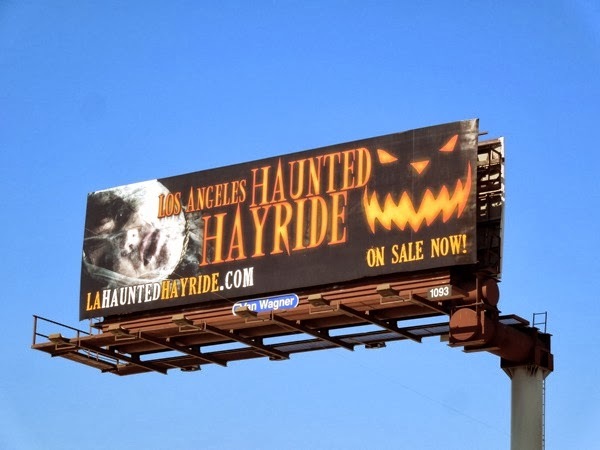 Whatever fiendish delights you have planned for today and tonight, happy horrific hauntings to you one and all. 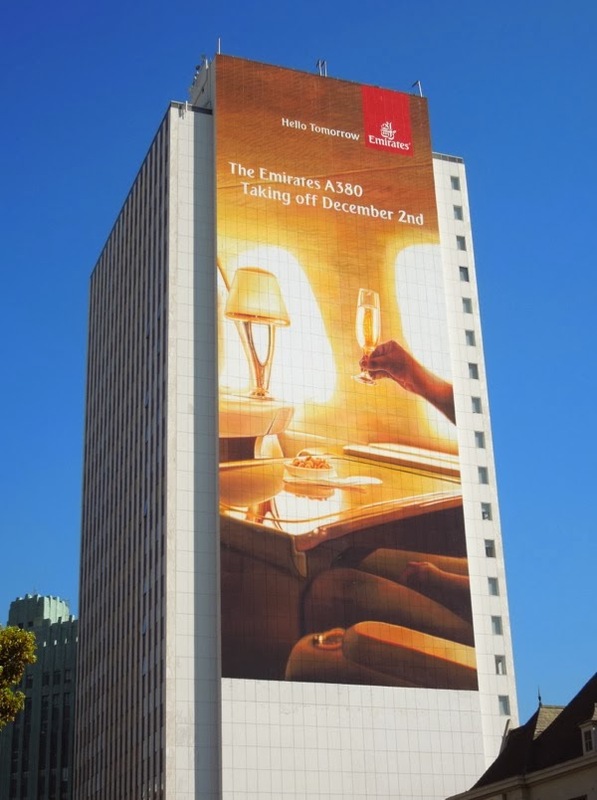 With the nights drawing in and the clocks about to go back an hour soon, it's nice to see an ad keeping the feel of summer alive. 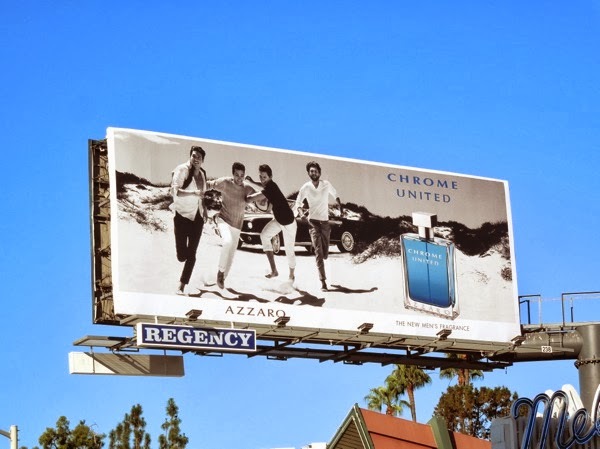 This stylish lifestyle billboard for the launch of Azzaro's new Chrome United fragrance apparently has spicy-woody notes and was inspired by time spent with friends and the fun moments that make life more enjoyable and relaxing. 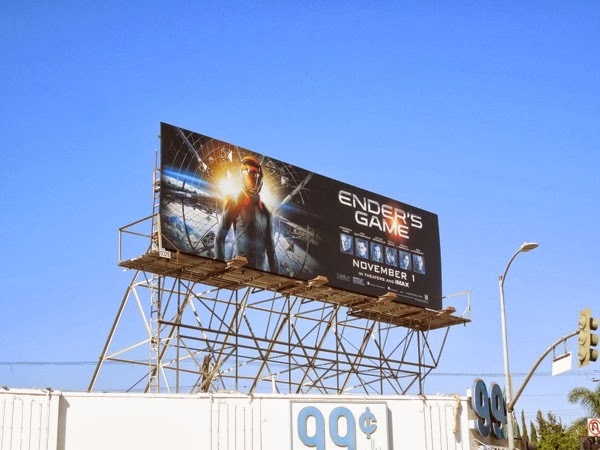 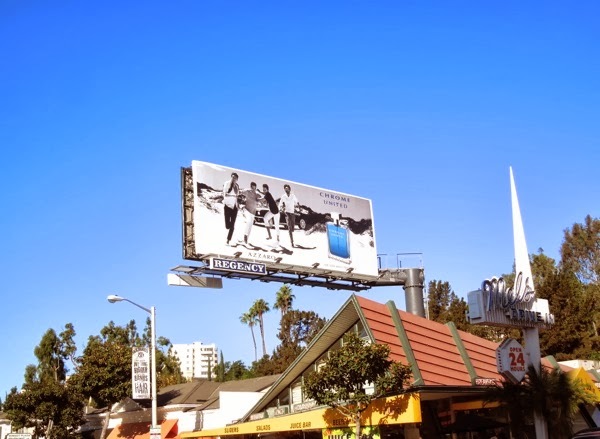 This new fragrance ad certainly captures what the brand was hoping to achieve and was spied along Sunset Plaza above Mel's Drive-In Diner on October 5, 2013. 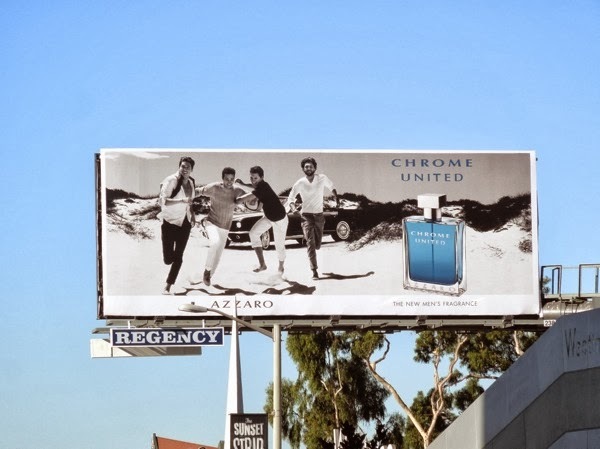 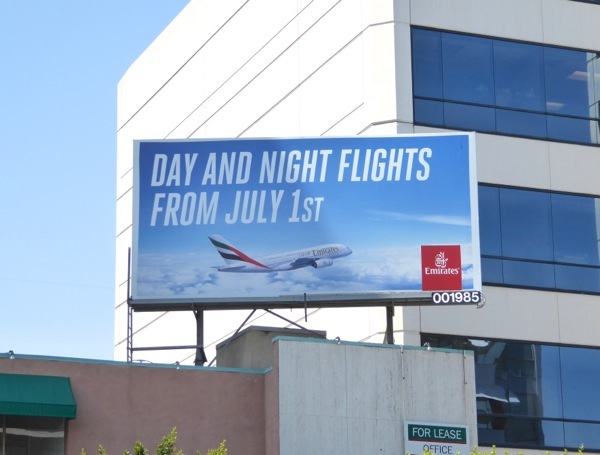 Daily Billboard especially likes the colour combination of the mono photograph and the men's cologne bottle in blue, which helps it really pop against the grey tonal background. 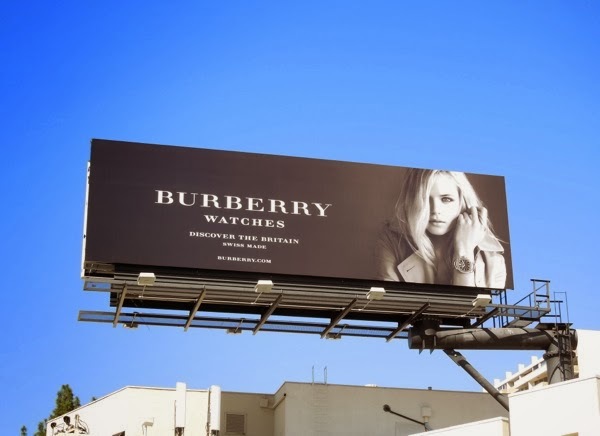 Expect to see even more billboards for designer fragrances, eyewear and jewelry as the gift-giving season approaches, but as long as they all look this cool, at least they'll be pleasant on the eye. 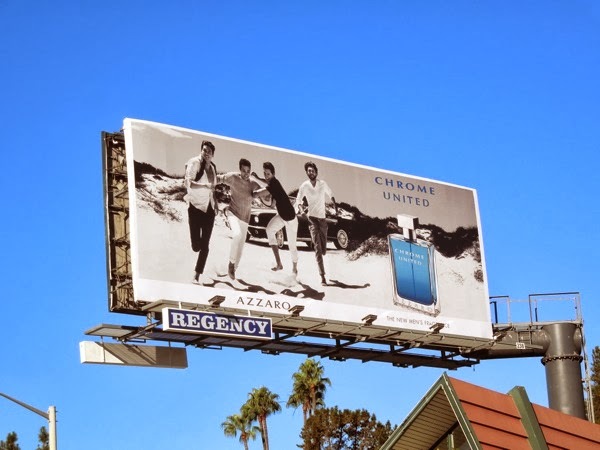 If you like this ad creative, be sure to also check out these other designer fragrance ad campaigns here at Daily Billboard. 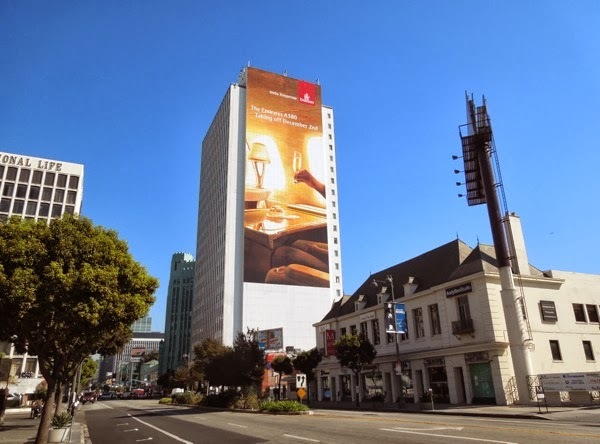 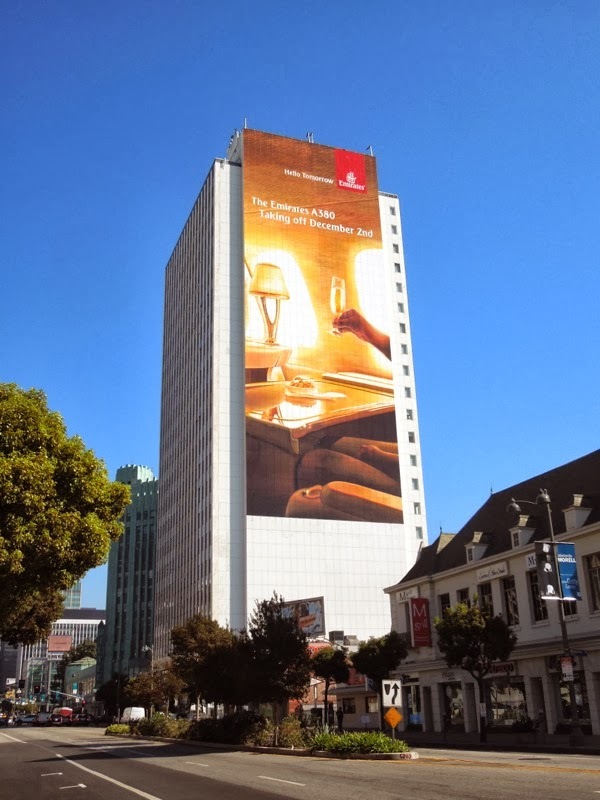 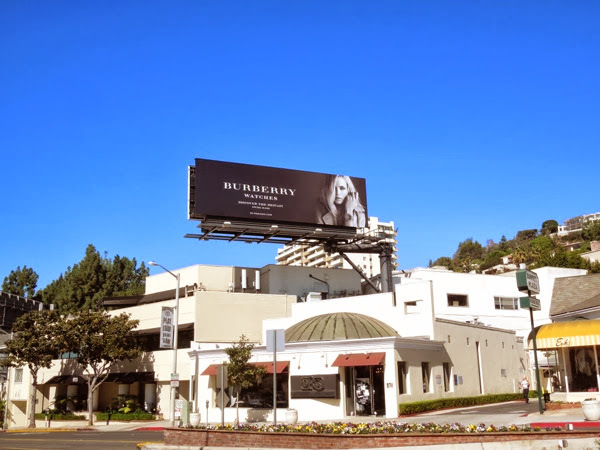 You can tell the gift-giving season is fast approaching when more and more billboards for jewelry, fragrances and watches start to appear in the skies at this time of year. 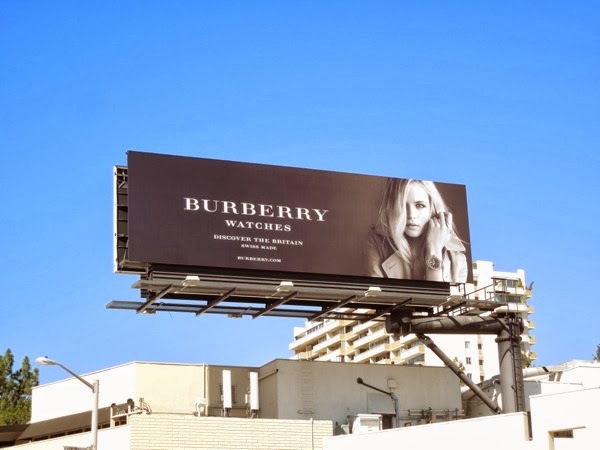 Case in point is this mono billboard for Burberry Watches and their 'Britain' watch, which comes in a male and female versions. 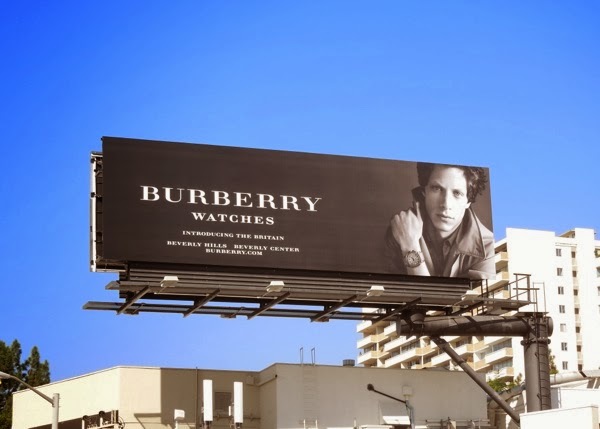 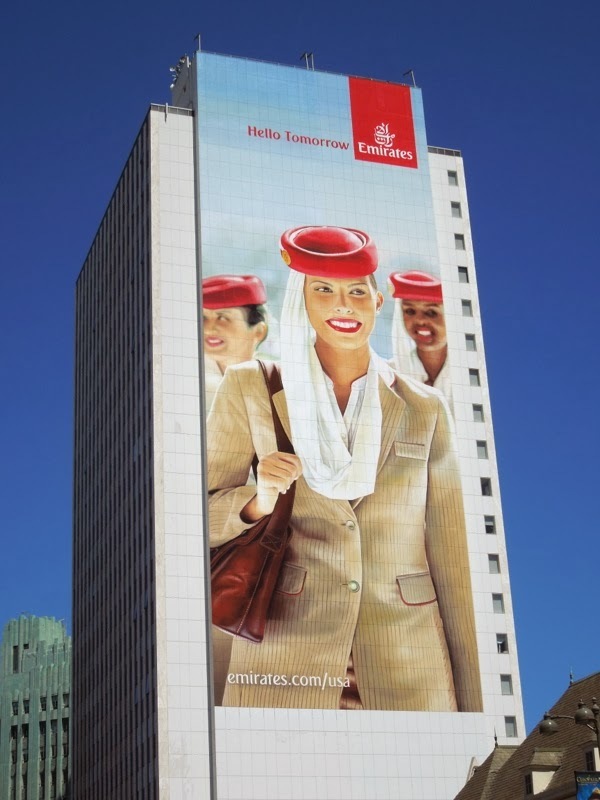 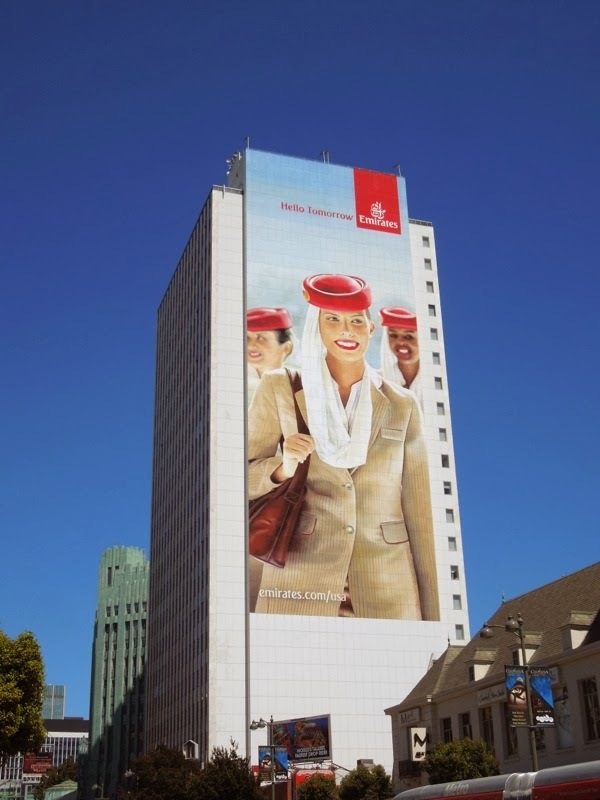 This stylish ad campaign was shot for the British designer fashion brand by infamous photographer, Mario Testino. 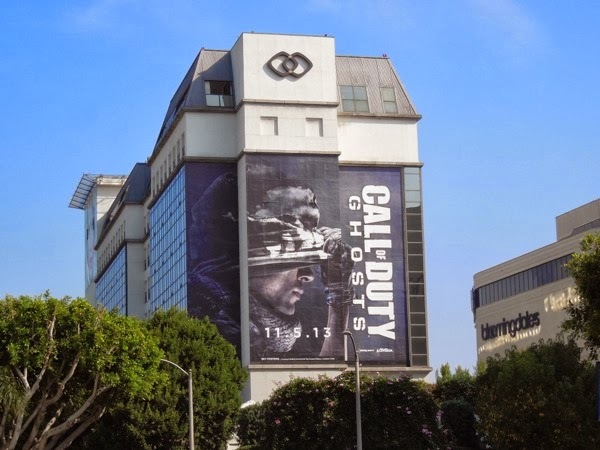 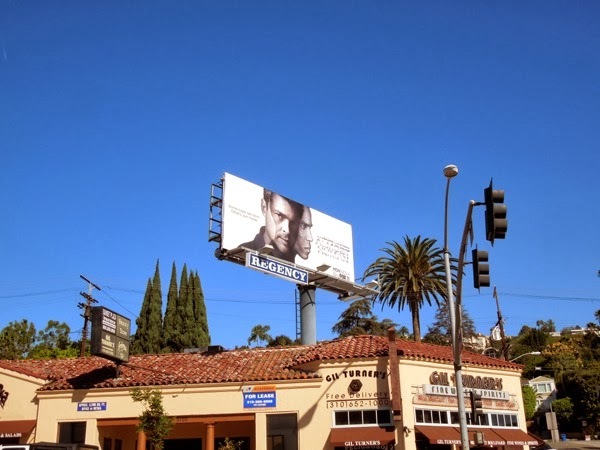 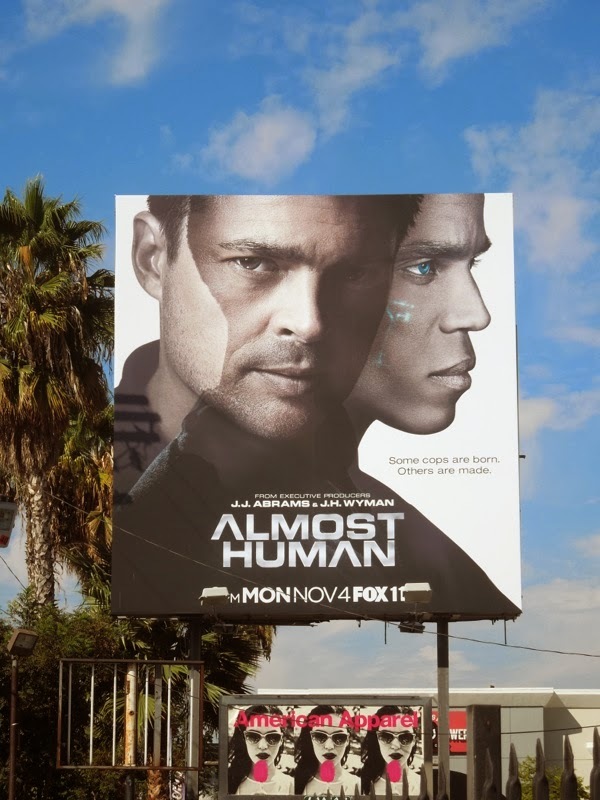 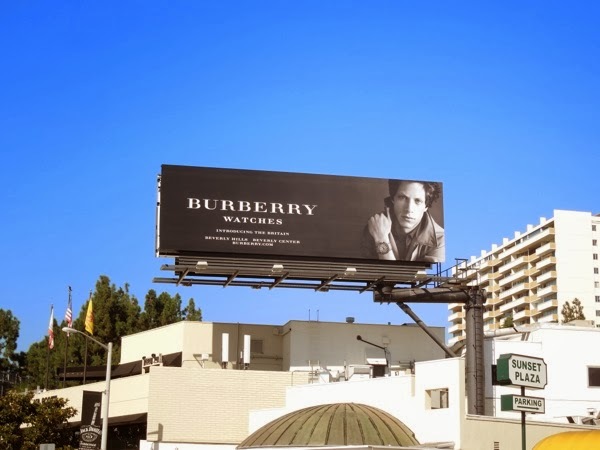 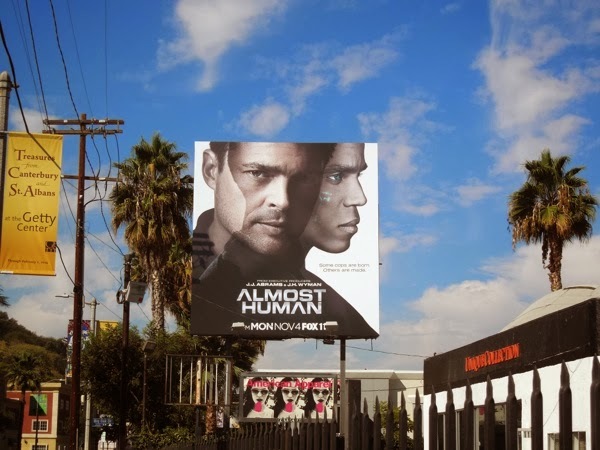 The male ad creative featuring musician-turned-model, Rob Pryor, was snapped last October 2, 2012 along L.A.'s Sunset Plaza, whilst the female version starring actress Gabriella Wilde was spotted in a same location a year later on October 5, 2013. 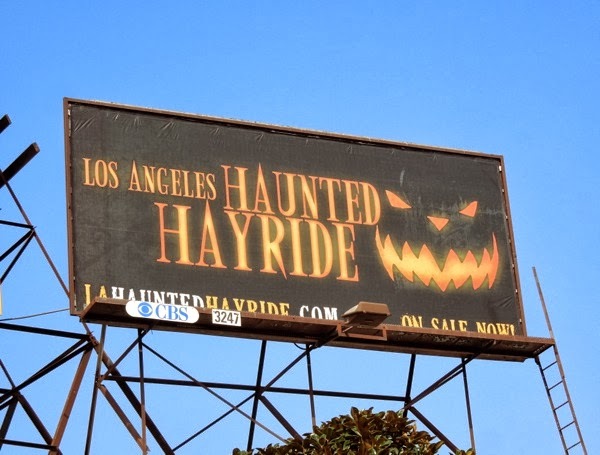 Once Halloween is out of the way, you know that the countdown to Christmas will begin, so be prepared.